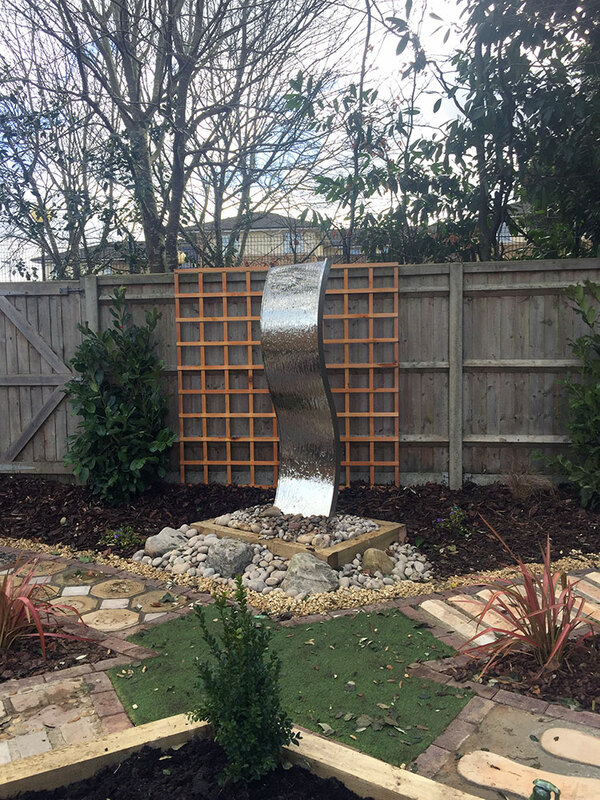 Children & Families project is excited to announce the completion of a fabulous sensory garden which has been dedicated to the memory of Councillor Val Smith a great supporter of the Dovecote project. We have turned an area of the garden that was overgrown and unused into an Oasis. Each section of the path has different sensory textures for the children to experience. 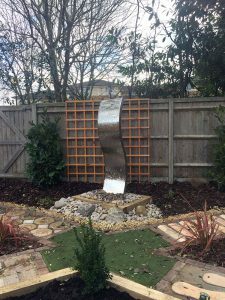 The garden also has a large mirror water feature, two floating tap water features, a chill out area and when the plants and flowers are fully developed the garden will provide lots of colours, textures and smells. The public voted in store to decide which local groups should receive the £12,000, £10,000 and £8,000 awards, 2,421 organisations from Tesco’s 400 regions up and down the UK received a share of the Bags of Help fund. Dovecote Children and young people have been involved in transforming the garden. 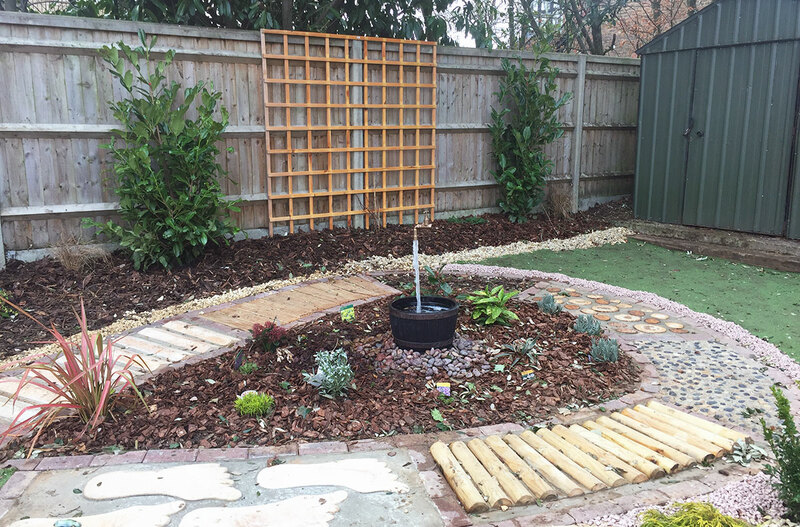 The resource has encouraged them to play and explore outdoors along with expanding their learning and development through growing their own plants, design of the garden, sensory experiences, lovely smells and wonderful colours. Children and young people also designed and created a wonderful new wildlife area to the very rear of the garden. Birds and bugs now have several houses and three story high hotels to stay in.